TOTW V6 in the Cologne Zoo 2017. I am Julian Kamzol from Germany, a passionate macro photographer, specialized in arachnids. It all started at the age of 12 when I got my first tarantula. Since then, my collection has grown to a stable 150. Anatomically they’re all alike, but that’s about the only characteristic they share. 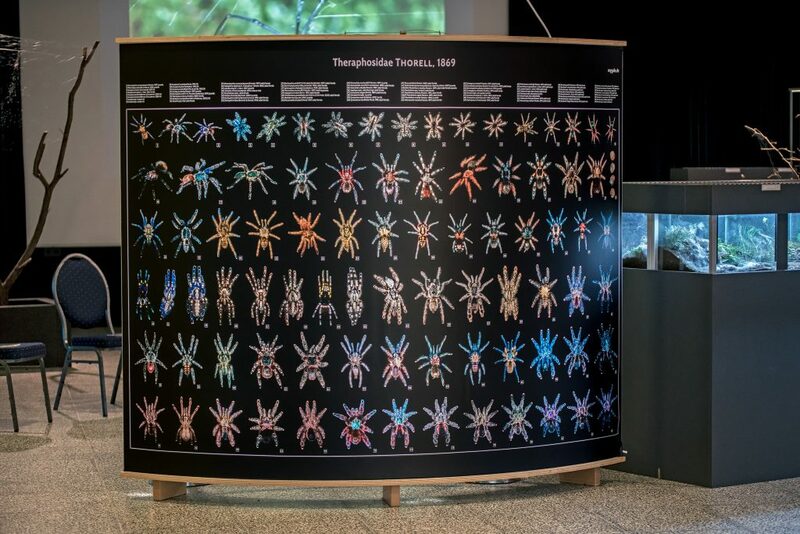 With nearly a 1000 species described, tarantulas exhibit a variety of colors, patterns, behaviors, and lifestyles. They were intriguing at first glance, but after further inspection, I became impressed by their hidden beauty. It was exactly that feeling, combined with a lack of exposure, which made me decide to specialize in high-quality photography of tarantulas in 2015. In my quest to inform and inspire people around the world, I have been working on perfecting my technical skills and observations in a variety of collaborative projects with enthusiasts and scientists. My work has been exhibited in museums and zoos around the world, and countless posters have been sold in over 25 countries. Since 2018 this is a running macrophotography business. Danniella Sherwood is an arachnologist with primary research interests in the taxonomy and systematics of theraphosid spiders. She currently holds voluntary positions in both the Natural History Museum, London and Oxford University Museum of Natural History working extensively with the museum collections. Currently, her main taxonomic work is focusing on South American Theraphosidae. Dennis Van Vlierberghe is a Belgian tarantula enthusiast. A combination of the intriguing but highly undervalued beauty of bird spiders, their almost surreal way of life and the rather complicated science that comes with them, inspired him to create one of the finest informative websites about theraphosids on the net. It’s one of the most successful tarantula websites in Europe with up to a thousand unique visitors a day. Although he only got his first spider in September 2014, we managed to cooperate and deliver beautiful results plenty of times already. Tobias Hauke has a research interest in the composition and mode of action of arachnid venoms and in the threat that supposedly dangerous arachnids pose for humans. He enthusiastically photographs spiders in their natural environments and is interested in the ecology and captive breeding of Southeast-Asian theraphosids in particular. He voluntarily works for a renowned arachnological society (Deutsche Arachnologische Gesellschaft e.V.) and regularly publishes articles on arachnids in popular-scientific or scientific journals.